There are two kinds of people in this world: those who believe in essential oils and those who don’t. Yet, despite their very near heretical beliefs, even the non-believers can get onboard with tea tree oil. Why? Because it’s AH-MAZING! Tea tree oil is the most extensively researched of all essential oils and is world-renowned for all of its practical uses, including but not limited to its ability to heal. The oil itself is derived from a shrub-like plant called the Melaleuca in Australia, and native aboriginals are believed to have used the balm to treat skin conditions for thousands of years. However, it wasn’t until the 1920s that chemist Arthur Penfold discovered its powerful antiseptic properties and commercialized it. 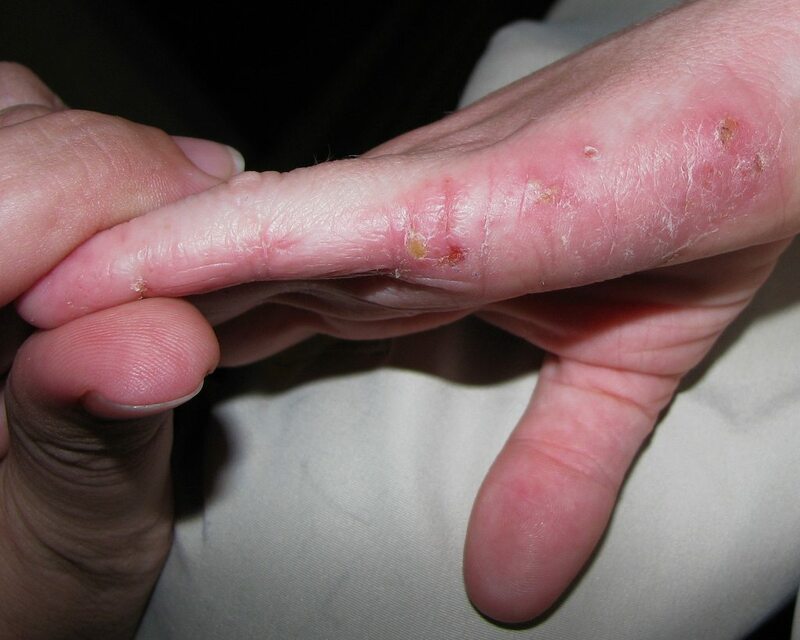 Eczema is a chronic and irritating skin condition that affects a person for his or her entire life. Characterized by dry, rashy, itchy and even blistering skin, eczema is oftentimes so bad that people who have it find it difficult to live a normal, comfortable existence. Fortunately, there’s tea tree oil. Mix 20 drops of tea tree oil with half a cup of coconut oil. Rub the mixture onto the infected areas twice a day. If you suffer from eczema all over your body, add 15 drops of oil to 2 tablespoons of extra-virgin olive oil. Add to bath water and soak in the mixture for 15 to 20 minutes. 2. It cures athlete’s foot. Athlete’s foot thrives in a damp, moist environment much like the sweaty shoe of an athlete (hence the name), and is characterized by itching, stinging, burning and rash. To combat athlete’s foot, mix tea tree oil, baking soda and arrowroot powder and apply to the infected area. The arrowroot powder is crucial, as arrowroot contains naturally absorbent qualities, thereby killing the environment in which the fungus thrives. Of course, you can’t discount the power of tea tree oil in this concoction. While the arrowroot works to dry up the fungus, the tea tree oil battle’s the fungus itself and inhibits its ability to replicate. Take an old shaker (salt shaker, parmasean bottle, spice container, etc.) and add a quarter cup of arrowroot powder, a quarter cup of baking soda and 20 drops of tea tree oil. Shake the mixture as best you can. If necessary, use a fork to break up any chunks created by the oil. Wash your feet, pat them dry, then shake the powder directly over the infected area. Use a clean how to spread it evenly. Do this twice a day until the infection is cleared. Between each use, store the container in a cool, dark place. Acne is no fun for anyone. If you suffer from acne, suffer no more thanks to the healing properties of tea tree oil. Extensive research has proven that tea tree oil can effectively penetrate the skin and unblock sebaceous glands, which are responsible for whiteheads, blackheads, pimples and other blemishes. 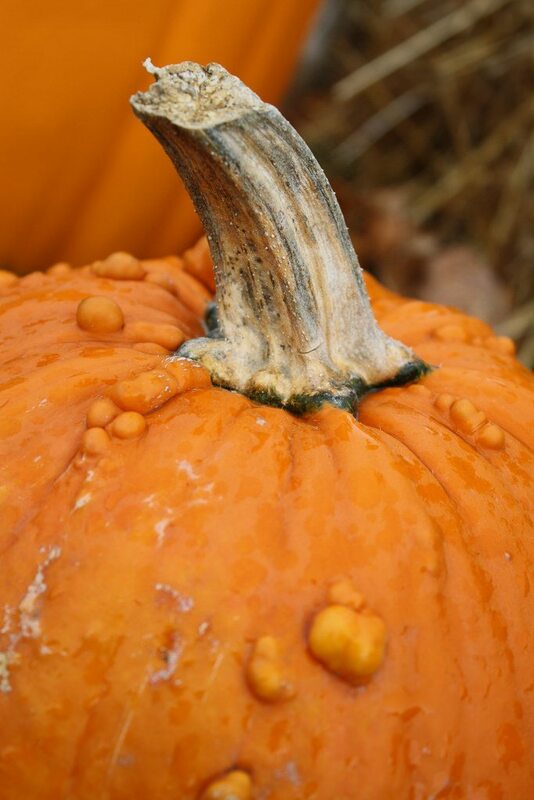 In addition to doing away with those pesky skin imperfections, acne even disinfects pores. 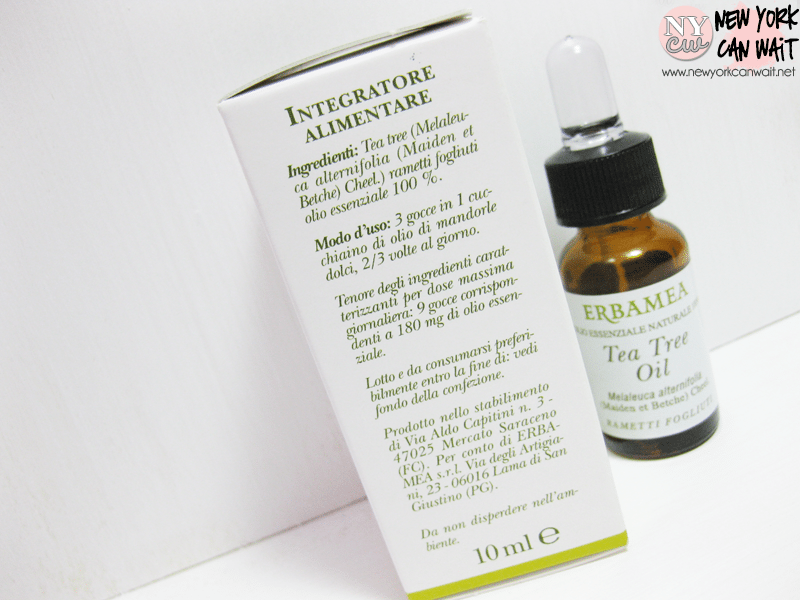 In order for tea tree oil to work its magic, however, it needs to be used in its purest form. Any acne treatment that claims to contain tea tree oil won’t do, as most of those products contain minimal amounts of the natural ingredient. Mix the pure oil with witch hazel and apply to the affected areas of our skin. Do so gently and with a cotton ball once or twice a day. You can leave the mixture on for several hours or overnight. If you have sensitive skin, mix in a bit of coconut or olive oil to dilute the tea tree oil’s high potency. Warning: Once your acne has cleared up, don’t keep using the mixture, otherwise you risk drying out your skin, which would cause your body to overproduce its own oils and ultimately make things worse. If you use the mixture during the summer or on a sunny day, apply sunscreen before going outside and wear a hat. Tea tree oil makes the skin ultra-sensitive to the sun’s UV rays, and you may experience severe sun damage if you don’t take the proper precautions. Bonus: Have scars leftover once the acne’s gone? Tea tree oil can get rid of those too! 4. It heals cuts and infections. 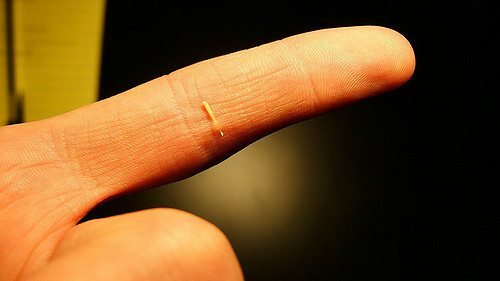 A splinter, small sliver, papercut or other slight wound may not seem like a big deal, until it gets infected. A menial cut can quickly turn into a big deal if you don’t cleanse it properly. By combining some tea tree oil with lavender essential oils, you can make an effective and good-smelling homemade ointment. Before applying, wash your wound thoroughly with water and hydrogen peroxide. Once the hyrdogen peroxide runs clear (meaning, you can pour some on your wound and your wound doesn’t pus or foam), dilute two drops of tea tree oil and lavender oil in jojoba oil. Apply the mixture to the cut and cover it up to prevent further infection. 5. It helps alleviate razor burn. If you have a big date, the last thing you want to be worried about is your razor burn. Razor burn is not only unsightly, but it’s also irritating. 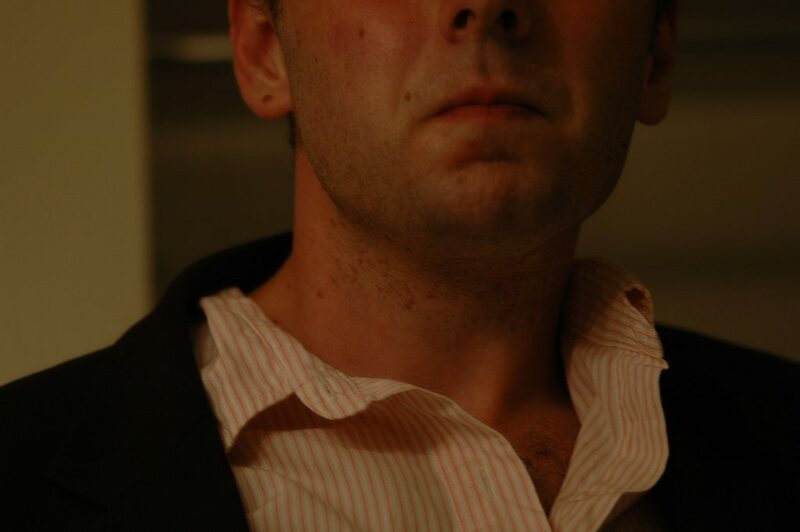 Fortunately, you don’t have to show up to dinner with a red rash and the tendency to itch thanks to tea tree oil. After you shave, simply add a few drops of tea tree oil to witch hazel and apply to the affected areas. You’ll be feeling fresh, smooth and cool come date time. Even so-called “makeup removers” do a poor job of removing mascara and other dark makeups, so people are forced to use lotions and other ingredients to get the gunk and goo off of their faces. Those people have obviously never used tea tree oil. Not only is tea tree oil all natural, meaning it won’t leave harsh chemical residue on your skin, but also, it works! Simply mix a quarter cup extra-virgin olive oil with ten drops of tea tree oil in a jar with a lid. Shake well and store in a cold, dark place. When you’re ready to use it, take a cotton ball and saturate it in the mixture. 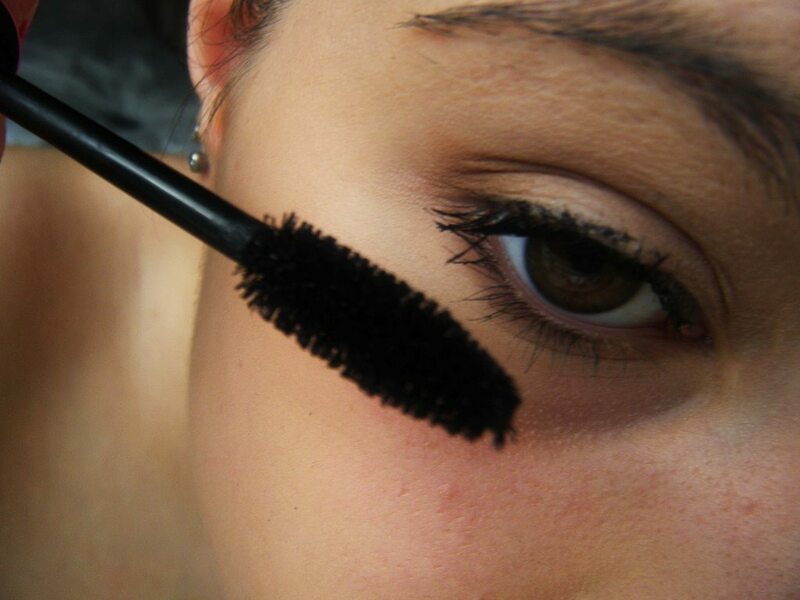 Sweep the cotton ball over your face and voila, makeup be gone! Rinse with warm water afterward to leave your face feeling fresh and, well, non-oily. Okay, let’s face it, nobody likes boils, and if you have any, you’re likely very self-conscious of this fact. Fortunately, you don’t have to suffer from embarrassment anymore. Teat treat oils are known for fighting staph infections, even those that are resistant to antibiotics. To get rid of those pesky boils, simply dab a cotton ball in diluted tea tree oil and almond oil and apply to the boils. Do this several times a day for maximum results. 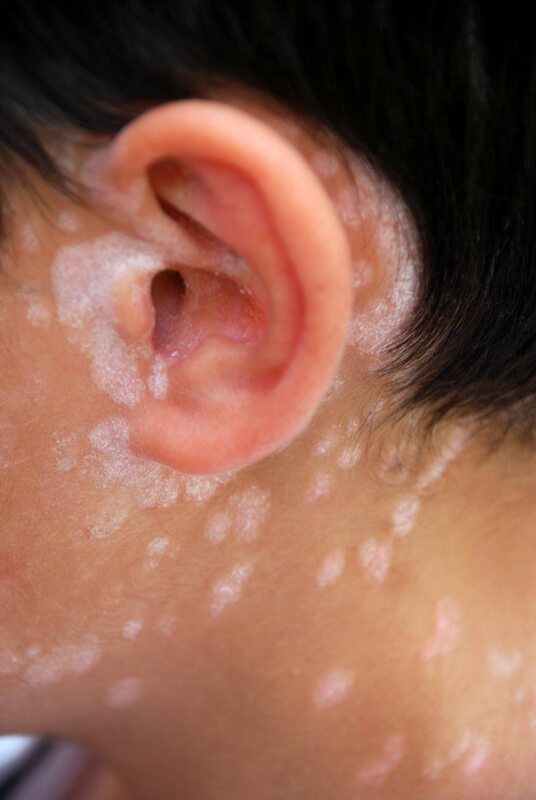 Like eczema, psoriasis is characterized by red, scaly and itchy skin, and like eczema, psoriasis can be a lifelong battle for some people. The condition occurs when dead skin cells begin to pile up on one another until they form patches of thick, silvery or red skin. These patches can be itchy and painful but not always. Not much is known to cure psoriasis, except tea tree oil. Thanks to its anti-inflammatory properties, tea tree oil not only alleviates the discomfort of the condition, but it can also reverse it. If you’re tired of looking at patches of dead, flaky skin on yourself, and if you’re tired of living in discomfort because of those patches, take advantage of this magical oil’s antibacterial, antifungal, antimicrobial, antiviral and anti-inflammatory properties. 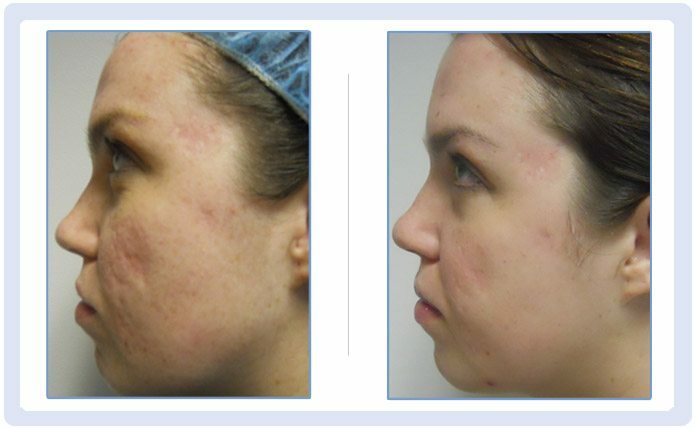 Each of these properies serves to relieve the itching, redness and burning and to allow your skin to shed like normal. Combine 10 drops of tea tree oil with 2 tablespoons of melted coconut oil. Apply the concoction over the infected areas. Do this two to three times a day until the patches are dissolved. Warts another one of those embarrassing skin conditions that everyone gets but still acts all taboo about. While you could take a flame to your wart and hope it kills the fungal infection, doing so is both painful and not guaranteed to work. On the opposite end of the spectrum, you could always freeze your wart off…though, again, doing so is painful and not always effective. What is effective? Tea tree oil. Tea tree oil halts the infection and development of the wart-causing fungi and dries the little buggers out, ultimately causing them to fall off naturally. 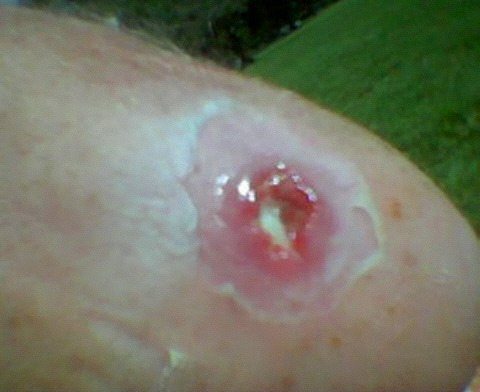 It’s not painful, and because it kills the infection first, the wart won’t come back, and the fungi won’t spread to other locations and cause a wart outbreak. Thoroughly wash your hands and the area around the wart. Apply a drop of pure tea tree oil to the wart. Place a bandage over the treated area and leave it on overnight, or for at least 8 hours. Remove the bandage and clean the area. Continue to repeat the process until the wart falls off or disappears. This can take anywhere from one to four weeks. 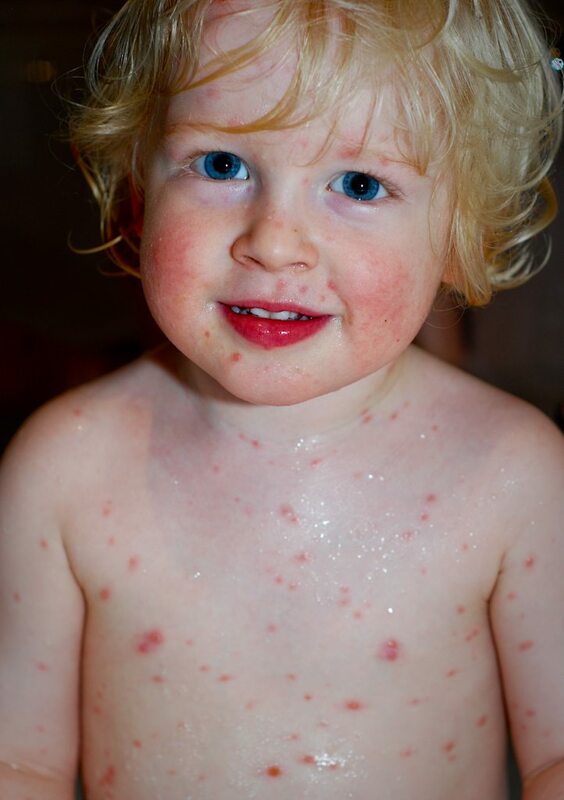 While vaccinations have nearly eradicated the chicken pox, there is still the occasional episode, and it is not pretty. Chicken pox is painfully itchy and uncomfortable, and if you scratch (which you are bound to do), you will scar. Tea tree oil can help alleviate the itchiness of chicken pox and get rid of leftover scars. To help alleviate the itching, take a warm bath with five drops of tea tree oil in it. Make sure to first dilute the oil in a carrier oil beforehand. Soak for at least 20 minutes, but don’t be afraid to soak longer! Want to get rid of those scars? See point #3! There you have it – all the essential uses for the most essential of all essential oils: tea tree oil. You’re welcome. 10 Habits That Will Seriously Damage Your Kidneys!